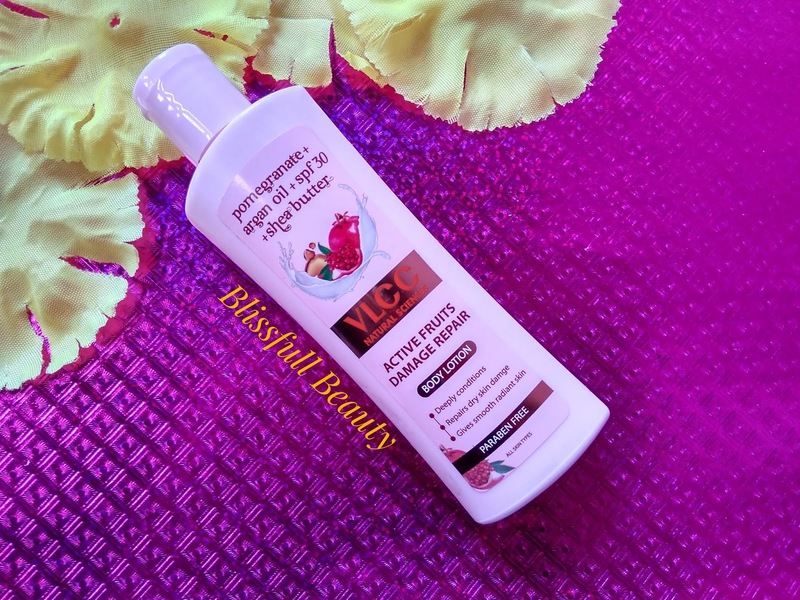 VLCC Active Fruits Damage Repair Body Lotion. I already reviewed VLCC Neem Facewash. 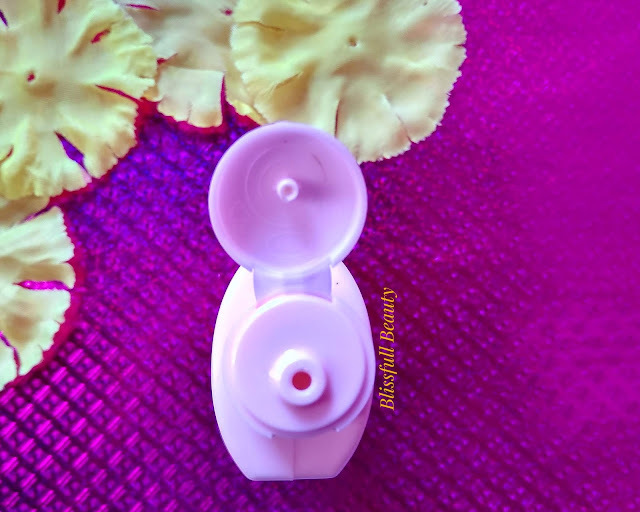 The body lotion is most prior in winter so let's get into the post and know more about this body lotion. 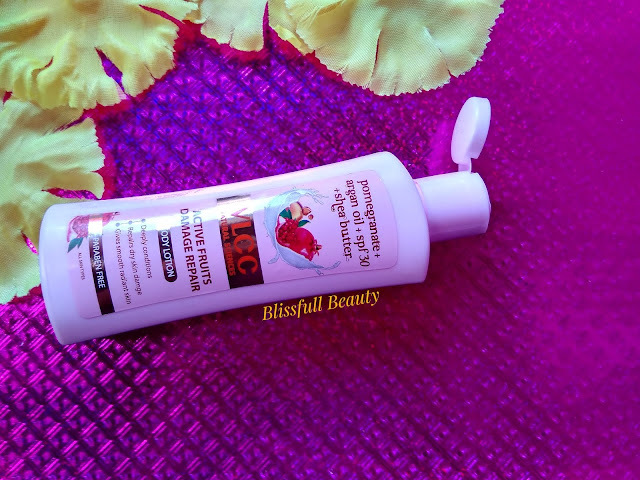 VLCC Active Fruits Damage Repair Body Lotion is not just an ordinary body lotion but in a true sense is a body lotion++, it power packs an innovative delivery system, rare exotic ingredients, multiple benefits along with the highest safety and superior results. It is an oil-infused lotion increases the moisture delivery capability of the body lotion and helps lock in moisture for a longer duration. Enriched with exotic ingredients like Pomegranate, argan oil, and Shea butter. This unique concoction repairs 1 week of dry skin damage in 1 day. It comes with SPF 30 /PA++ for superior protection against dry skin damage. VLCC Active Fruits Damage Repair Body Lotion comes with white color plastic bottle secured with a flip cap. 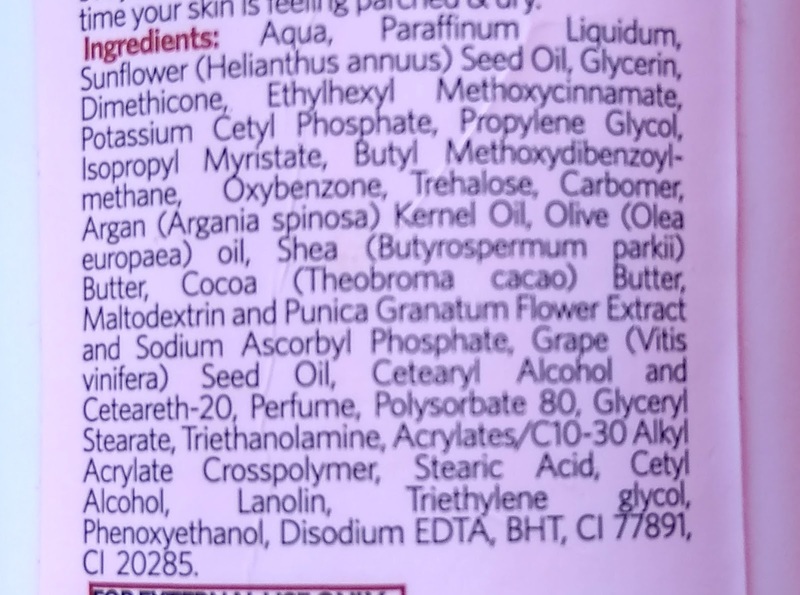 The details of the product mentioned front and back side of the bottle. 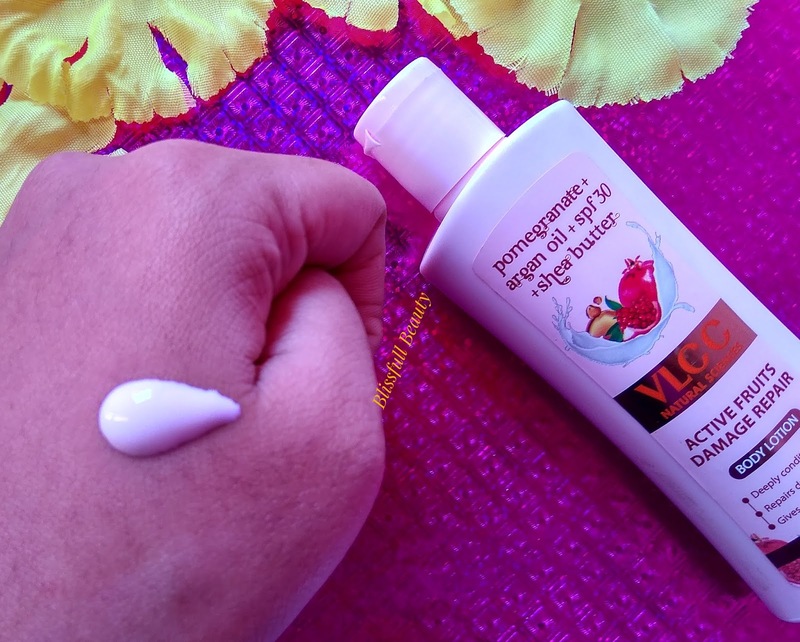 VLCC Active Fruits Damage Repair Body Lotion has creamy consistency of white color with fruity fragrance which I liked. Apply all over your body after bath, on damp skin or can be used any time your skin is feeling patched and dry. ➡Moisturises well and blend well. ➡Not effective for very dry skin. ➡Not long lasting staying power. Recently I bought this lotion from purplle and there are offers going on B1G1. I already used this lotion after bathing it blends pretty well and moisturized up to 3 to 4 hours, not more that. It gives smooth skin after applying this lotion. I have very dry skin in winter. 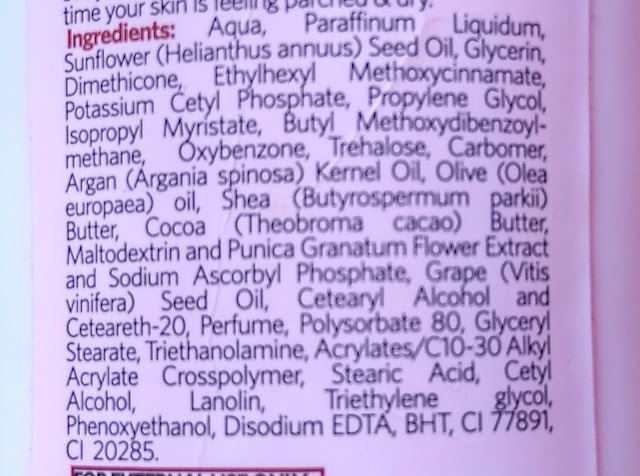 If you have normal skin then it suits for you and you may like this lotion. 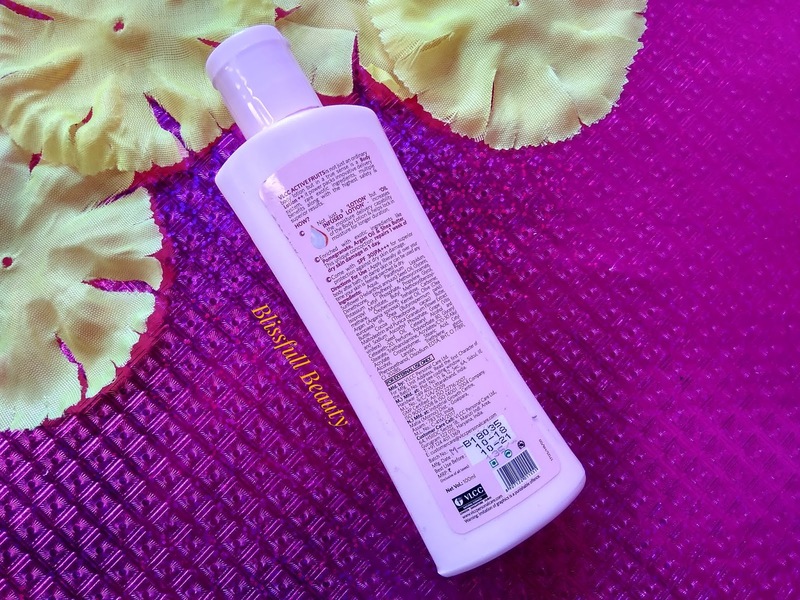 But people have very dry skin people is not like this lotion because it is not long lasting.